Kalyan grew up in the Christian faith. He is a Bible teacher and mentor. His worldview is shaped by his study of the Bible and he is passionate about bringing alive and making relevant, the life and teaching of Jesus Christ. During his career spanning four decades managing organisational change, Kalyan lived and worked in several countries across the world, working, worshipping and being in fellowship with people from diverse backgrounds and cultures. Responding to a specific call, Kalyan resigned his professional career, joined Regent’s Park College, University of Oxford on a three-year programme which shaped and transformed his life to be a pastor in church-based ministry. He is on the Baptist Union of Great Britain’s list of Accredited Ministers. Kalyan and Narola have two adult children, Nureen and Ranjeet, both in professional careers, and both personally committed followers of Jesus Christ. One of two people who knows ALMOST everything there is to know about Botley Baptist Church is our Ted! Besides their commitment to community and devotion to Church life, Ted and Jean are busy grandparents; the demands on their time, by three grand daughters and one grandson, is ever increasing! Alan is a Chartered Accountant presently managing his own practice, with clients as far north as the Isle of Harris, to further south of Oxfordshire. Forty years ago, Alan and Marian brought back an acorn from their travel around Germany and planted it in the Church garden, which has now grown into a healthy and handsome tree, symbolic of the life of Botley Baptist Church! Having retired as a midwife, Marian is busier than she has ever been, multi-tasking and managing family, a small holding, social life and it goes without saying, Church. 40 years ago, Marian started seving fresh home-baked cakes and confectionery on Saturday mornings, which grew to become "Saturday Coffee Mornings", a much loved event in the Church and the community. Marian and Alan, enjoy travelling, but always make time to contribute significantly to church life. Elisabeta and her husband, Luca, planted the first Evangelical Romanian Church in Oxfordshire, and have been faithfully serving the call of God, and the Romanian community since 2015. 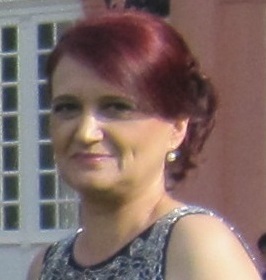 Elisabeta is a career professional translator working in multicultural environments with publishing houses and charities across Europe and North America. Elisabeta enjoys experiencing new cultures. She and Luca are active members of Botley Baptist Church and Elisabeta is a regular contributor to The Grapevine, the Church’s monthly magazine. She and Luca have three adult daughters. Penny is Oxford born and bred, and together with husband Paul and two children and their families, is a long-time resident of Botley. Penny is active in several local community organisations including PHAB Oxford. Among Penny’s gifts she exercises in Church, is reading Scripture during worship, making it come alive for us. An avid fan of Speedway together with husband Martin and son Paul, Gillian is also Membership Secretary for the Tyndale Society, editor of the Church’s monthly new magazine, The Grapevine, and our Accountant! Some people are especially gifted in multi-tasking very efficiently, and Gillian is among the few!